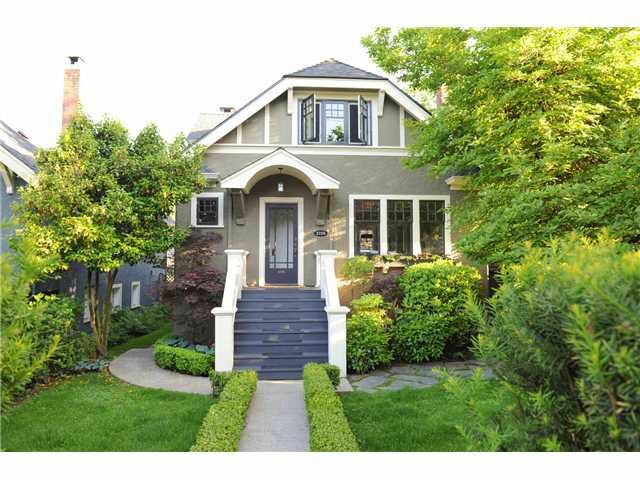 Exquisite character home & garden located in Kerrisdale! Walk up the boxwood lined path that leads you into a stunning blend of chic modernism & stylish comfort as featured in "Style at Home" magazine. This property features 3 bedroomson the main & upper levels with a self contained 2 bed inlaw suite downstairs. An elegant mix of the old world charm throughout combined every sought after contemporary amenity. High end S/S app, "honed" marble countertops are just the start in the entertainer's dream kitchen with a garden door leading out to oodles of patio space with a fire bowl to throw the ultimate summer gatherings. Stunning updated bathrooms! This charismatic home is just mere steps to everything Kerrisdale has to offer. How much can you spend on your dream home? Sign up for our exclusive listing service & get 3X more listing info than MLS, new listings sooner, saved searches & more! Thinking of selling? Not sure how much your home is worth? Get started with a free home evaluation. Real estate in Tsawwassen and the surrounding areas involves much more than homes, land and numbers. It's about people and families. And when it comes to you and your family, every member is important. We work to ensure that your new home and neighbourhood fits your needs, so when the transaction closes, you are satisfied not only today, but for years to come. To me, that's what being a realtor is all about.